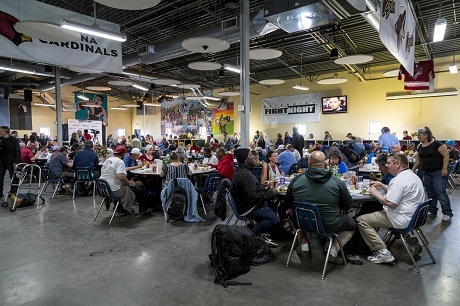 Celebrity Fight Night and its founder Jimmy Walker have been longtime supporters of St. Vincent de Paul. Over the course of our ten year history, Jimmy has supported SVdP in many ways, but perhaps his most important way is through the "Never Give Up" program. 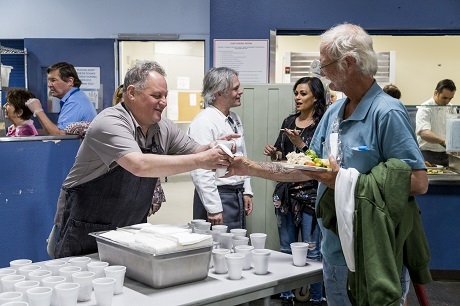 Every Monday morning in SVdP's Human Services Campus dining room, Jimmy and a guest offer words of encouragement and inspiration to many homeless men and women. Each message is meant to remind our guests that no matter how difficult life may be, giving up is never the answer. 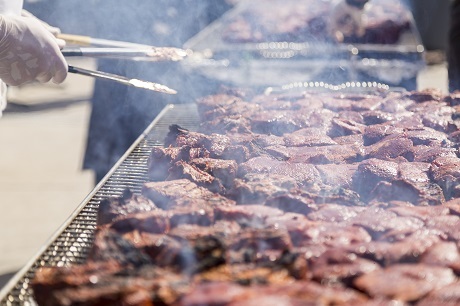 To mark the ten year anniversary of the "Never Give Up" program, the Celebrity Fight Night Foundation purchased and donated 1,000 steaks to SVdP. 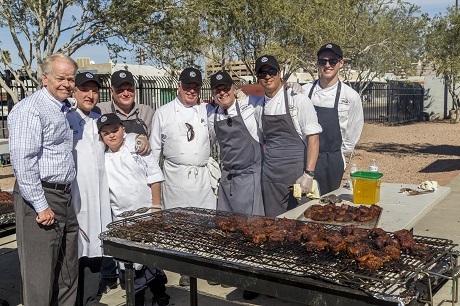 Along with this generous gift, celebrity chefs Chris Bianco, Mark Tarbell, Marc Lupino and Vincent​ Guerithault volunteered to do the grilling! After an afternoon of cooking, Jimmy and the chefs stayed and served dinner. Seeing the thankful faces of our guests as they received their meals is something we will never forget. 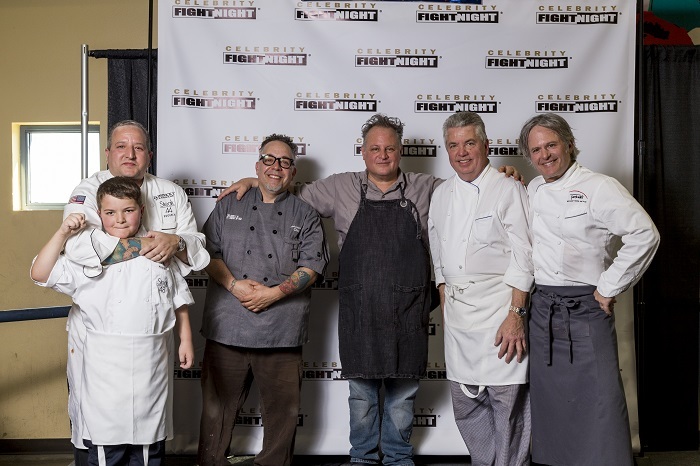 Thank you to Jimmy Walker, the Celebrity Fight Night Foundation and all the chefs who made this event possible.